While most nouns, in both French and English, can be singular or plural, some can only be one or the other – and dozens of these don’t "match up" in the two languages. The nouns on this page are singular in French but plural in English. These French nouns are singular in every respect: they require the third-person singular (il / elle) form of the verb, no plural adjective agreement (though feminine may be required), etc. 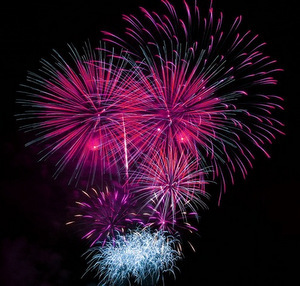 Le feu d’artifice est magnifique ! The fireworks are wonderful! Il porte une cotte noire. He’s wearing black overalls. 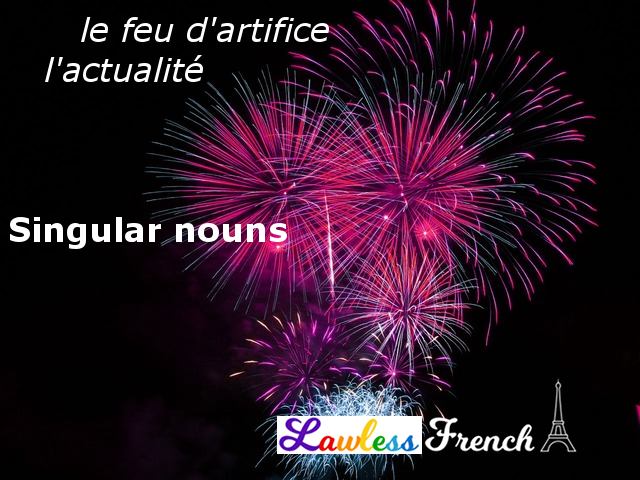 These nouns are usually singular in French, but are occasionally used in the plural (lesson coming soon).